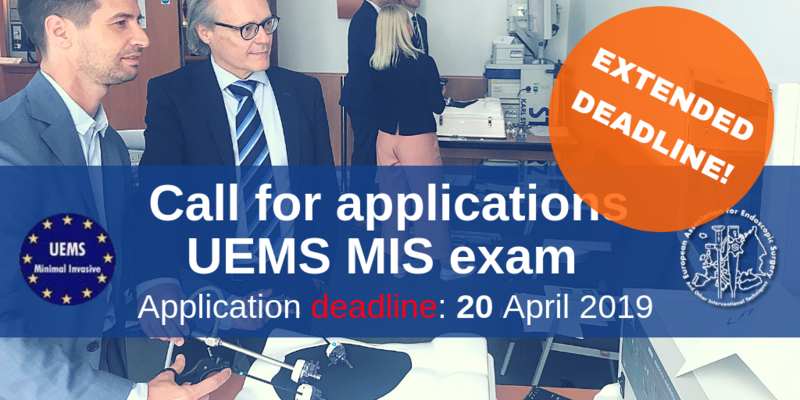 UEMS Division & Board of Minimally Invasive Surgery (MIS) cordially invites you to the Fellowship Examination within Minimally Invasive Surgery (MIS). The examination is offered in collaboration with the European Association for Endoscopic Surgery. The successful candidates are awarded the title “Fellow of the European Board of Surgery – MIS” or “F.E.B.S./MIS” and provided with the relevant Diploma.